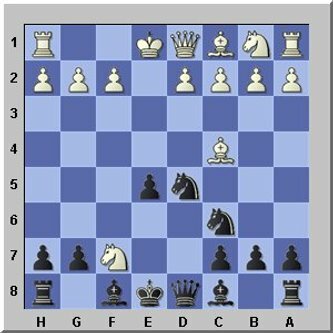 If you are looking for a sound and active opening for Black versus 1.e4 then consider the two knights defence. Black's third move 3...Nf6 is more aggressive than the move 3...Bc5. It is a counterattack and not a defense and was played by many aggressive players, for example: Tal, Spasski an Keres. The theoretical body of this opening has been explored deeply and it is necessary to study a lot of chess variations if you want to apply this opening with success. The most challenging move for white is now 4.Ng5 which looks like an amateur move and was considered "primitive" by Siegbert Tarrasch (5th march 1862 – 17th feb 1934), one of the strongest players at his time. This move wins a pawn forcibly but Black gets compensation in better piece development. This move is considered for white as a good chance to go for a slight opening advantage and was played by World Champions like Bobby Fischer, Karpov and Kasparov. 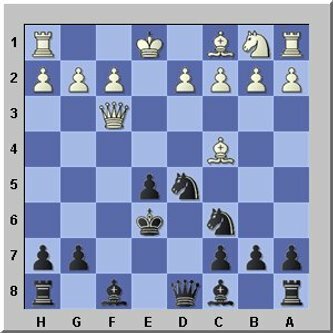 Other fourth moves for white are 4.d3 (most popular), 4.d4 which can lead to the Max-Lange-Attack which you should study. Not often played is 4.Nc3 and 4.0-0 is very rarely played. You can replay them a bit further down alltogether. But first replay the aggressive variation (4.Ng5) and get the feel for it. After 4.Ng5 d5 (to block the bishop or White is going to hit f7) follows 5.exd and now there are various moves for Black. When you replay the games with 4.Ng5, you will notice, that Black does NOT recapture the d5-pawn with 5...Nxd5?? This is a really bad move. Never ever recapture with Black, because after that the black king must go into the center to protect his knight. This position usually wins White. Don't play it with Black. 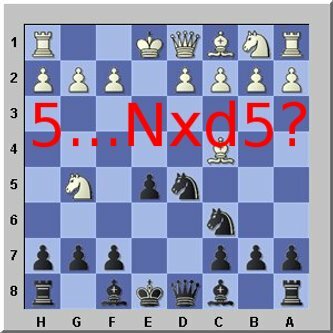 Replay 5...b5 Variation here but look first at the diagramms below to understand why 5...Nxd5 is bad.